You need to get on Twitter. I’m not much into RSS; I prefer Livejournal as an aggregator, and straight RSS doesn’t work with that. But if you announced new posts on Twitter, I wouldn’t miss them. =) Tweeted this one for you. And I especially like this one. 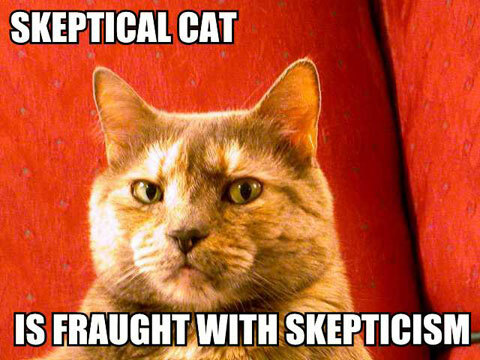 Run into the skepticism all the time, though I don’t always aim for accuracy, just plausibility. I’ll never forget the time I foolishly asked friends whether it was possible to survive a jump out of a giant tree, from 500 feet up, if all you had for resources was a few bedsheets and a half-powered god who could be killed, yet would resurrect again and again. When the conversation turned into an argument about the length of the human intestine, I had to cut it off before my sanity broke. ‘nother great entry. Please keep ’em coming! Speaking of breathing problems, I thought I suffered from Nasular Impactolento Peculiaris until a qualified nasal surgeon pointed out that I was just making that up.